Ann is responsible for providing program support for professional career counselors and advisors including marketing, administration, and assessment of job fairs, career and advising events. She manages day-to-day tasks in the office including the supervision and coordination of student assistants and management of the reception area for students, staff, and faculty as well as employers and the community. Phillips collaborates with the admissions office, processing applications for transfer and 23+ students entering the College. She manages all administrative tasks for the Teacher Network Fair. 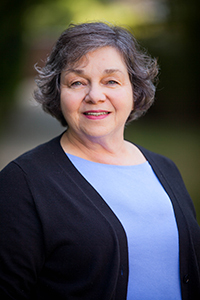 Prior to working at Meredith, Ann worked for non-profit organizations and in medical settings.